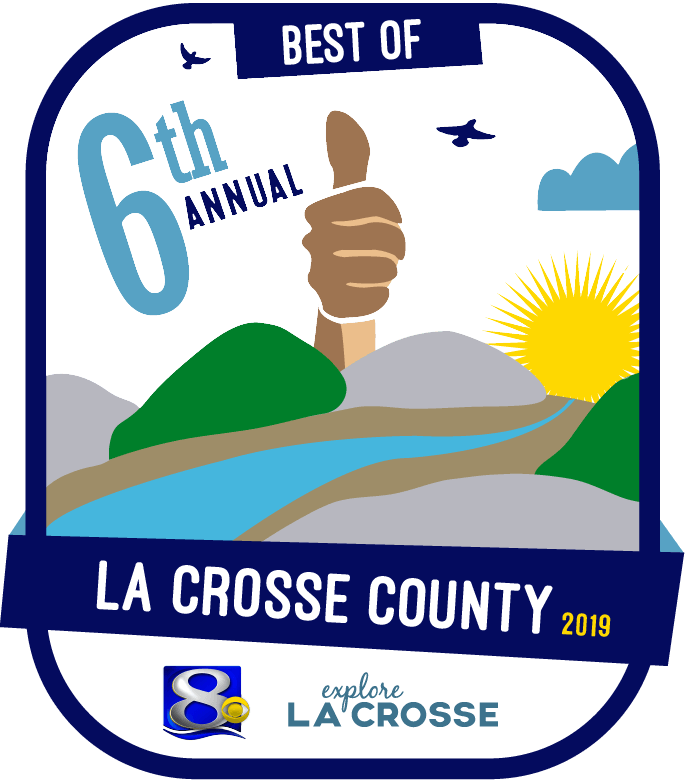 The historic trolley tour trip begins downtown at the La Crosse County Convention and Visitors Bureau in Riverside Park. 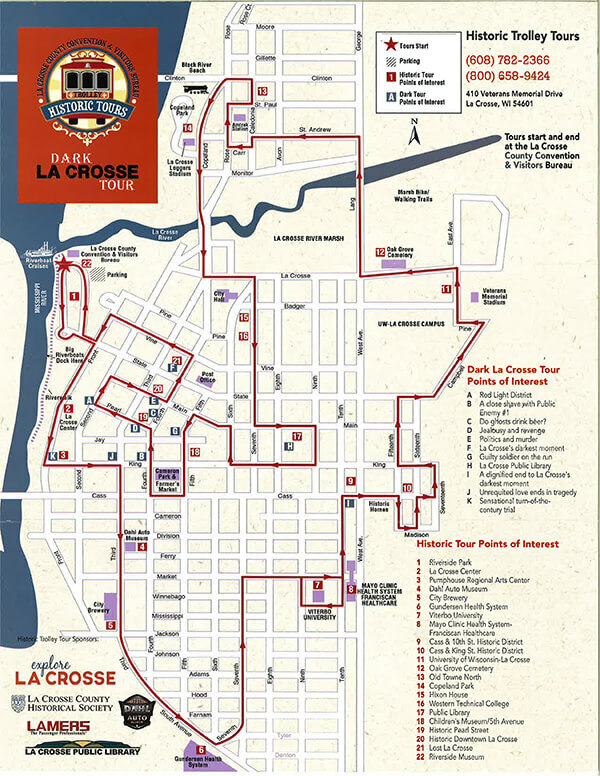 Enjoy the scenery of La Crosse while relaxing on the air-conditioned trolley bus. The bright red trolley bus is a nostalgic re-creation of the types of vehicles that traversed the streets of La Crosse in days gone by. 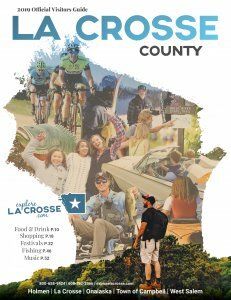 Enjoy interesting narration provided by the La Crosse County Historical Society as you tour historic neighborhoods and establishments. Join the La Crosse Public Library Archivists for the tour focusing on downtown La Crosse’s macabre past. Your narrator will guide you down a dark path through the red light district, Prohibition, small town politics and vigilante justice in a young and restless river town bordered by the sleepless Mississippi River. This tour is not recommended for ages 15 and under.